Connecting Point of Park Cities (CPPC) is pleased to announce “Staubachs Connect,” the second Annual Connecting Point of Park Cities Luncheon, taking place January 23 at the Frontiers of Flight Museum. Marianne and Roger Staubach will be the featured speakers, and join Luncheon Co-Chairs Hollee and Rick Mills to help raise critical funds for Connecting Point of Park Cities. CPPC is an all-inclusive day program for adults with disabilities and offers a wide range of educational, vocational, social and recreational services for adults with special needs. Kicking off at noon, the Staubachs will take the stage for an interview with Scott Murray, chairman and CEO of Murray Media and host of Conversations with Scott Murray and Texas Daily. The luncheon also will feature a silent and live auction with more than 20 signed items by Staubach, including a signed football with his Super Bowl dates, jerseys and other memorabilia. Proceeds raised from the luncheon will enable CPPC to continue to build and expand within the community. 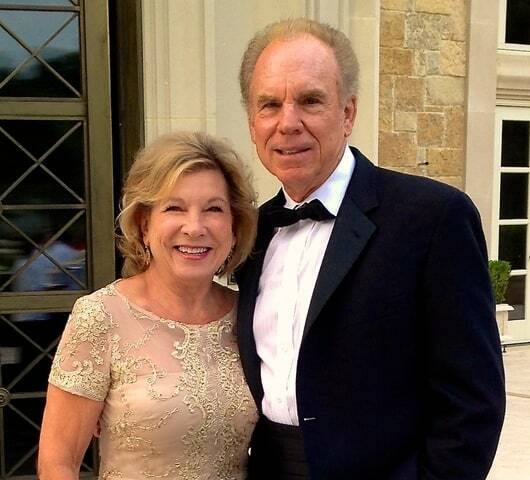 Marianne Staubach grew up in Cincinnati, Ohio, but has called Dallas home for 45 years. She is active in the Dallas community and currently serves on the board of advisors of the Jesuit College Preparatory School, the Catholic Foundation Board of Advisors and volunteers as a Meals on Wheels driver. In years past, Marianne served on the Catholic Foundation Board from 1996 to 2004 and on the Visiting Nurse Association Board. Roger Staubach served in the United States Navy before joining the Dallas Cowboys professional football team in 1969 while simultaneously launching his real estate career. He led the Cowboys to victories in Super Bowl VI and Super Bowl XII and was named the Most Valuable Player of Super Bowl VI. Currently, Roger is the executive chairman of America’s Jones Lang LaSalle, a global real estate advisory firm. In his personal life, Roger continues to be involved with The Children’s Cancer Fund, the United States Naval Academy Foundation and numerous other civic, charitable and professional organizations. Marianne and Roger have five children, 15 grandchildren and one great grandson. Individual tickets for the luncheon are $150.00 each and sponsorship opportunities begin at $750. For tickets or sponsor information, please contact Hollee Mills at 214.538.6823 or via email hollee@mycppc.org. Space is limited and reservations are required. Click the link below for the article on BubbleLife. Thanks for the article BubbleLife!